Cognex Corporation (NASDAQ: CGNX), the world's leader in machine vision, today introduced the In-Sight® Laser Profiler, an easy-to-use measurement system that verifies part dimensions. 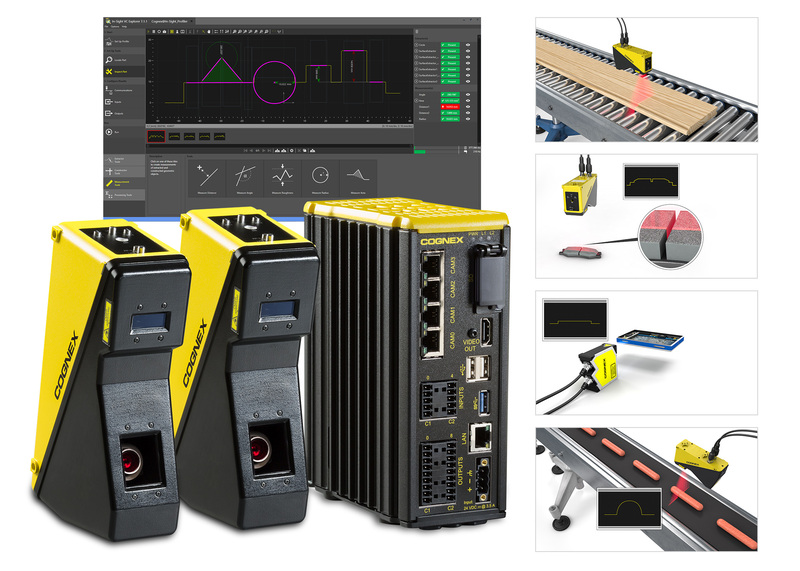 Cognex vision tools, accurate object detection and the EasyBuilder® interface make the new profiler an intuitive and highly reliable tool for obtaining height, gap, position, and angle measurements and detecting defects on the factory floor. Part profile verifications are used across a wide range of industries, including automotive, electronics, consumer products, and food and beverage, to ensure parts are manufactured within specified tolerances. Slight dimensional variations can adversely affect product quality, consumer safety and brand integrity. The In-Sight Laser Profiler identifies these issues before they reach customers. "Our customers have been asking for an easy-to-use laser profiler," says Joerg Kuechen, Senior Vice President, Vision Products at Cognex. "The In-Sight Laser Profiler combines an easy-to-use interface and the VC200 vision controller, along with the accuracy and dependability of our 3D laser displacement technology. Anyone who knows how to use a 2D In-Sight system can set up a laser profiler application within minutes." By allowing users to set up inspection applications in a few easy steps, this new measurement system eliminates the complexity required by other laser profiling solutions. Additionally, the In-Sight Laser Profiler also makes it easier to monitor production line activity from anywhere on the factory floor using a web-enabled laptop, tablet or smartphone. The In-Sight Laser Profiler is available now. For more information, visit www.cognex.com/in-sight-laser-profiler or call 1-(855) 4-COGNEX.